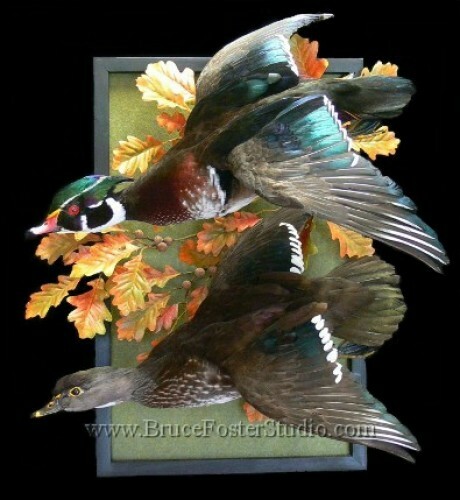 Wood Ducks – Wood Duck wall mount diorama. Hand wrapped bodies and custom cast bills. Taken off Tilghman Island at Harrison’s Chesapeake House, Maryland. A custom frame was made and artificial Red Oak leaves and acorns artistically blended this mount into an impressive piece.